The Gayatri Mantra is possibly the most well-known and widely practiced mantra in the Hindu tradition. 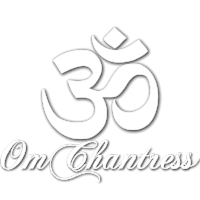 It is said that if you are quiet, you can hear the Gayatri Mantra chanted in India at any time of the day. The benefits of this mantra are understanding and enlightenment. What distinguishes mantra from prayer is that the sound and vibrations of the sanskrit have benefit in their own right of calming the nervous system and lightening the spirit. Of course, mantras, may also be prayers, such as in the case of the Gayatri mantra, wherein there is the request for enlightenment in harmony with the sounds that support the cultivation of this quality. may he inspire our understanding." In Your Car, No One Can Hear You OM.